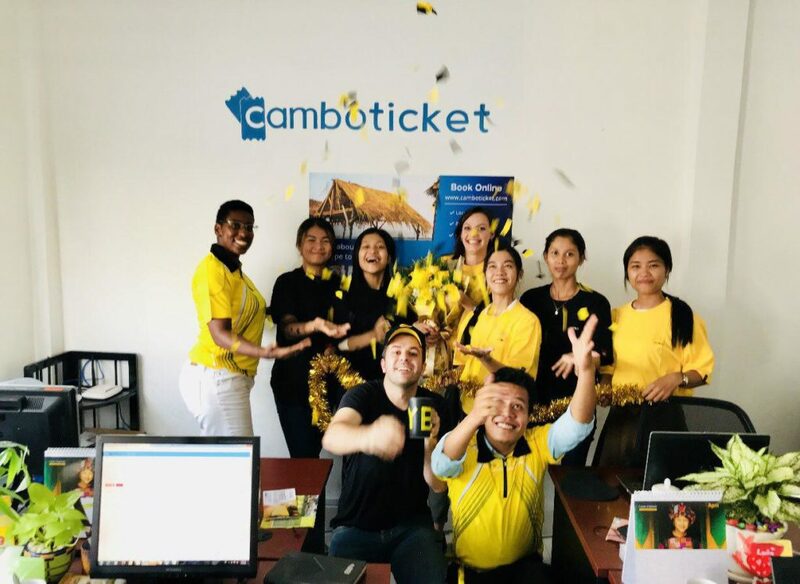 I was recently afforded the opportunity to take the overnight bus from Phnom Penh to Bangkok from the travel company Virak Buntham Express through Camboticket. 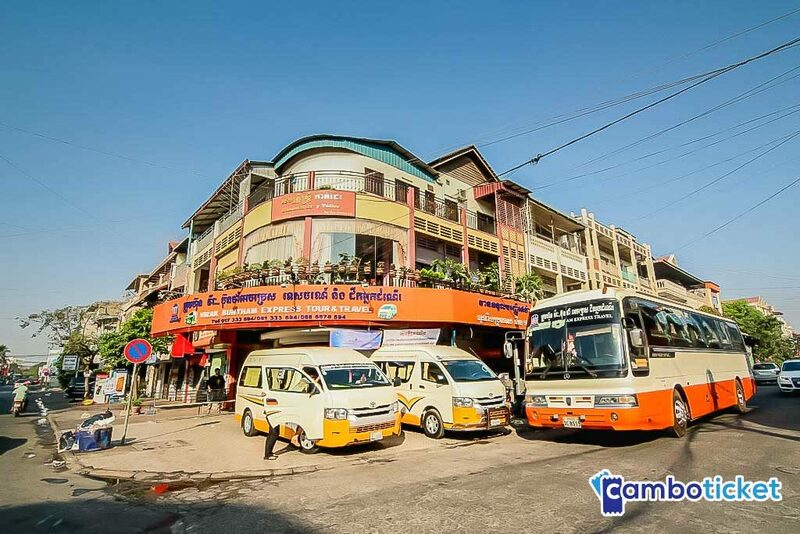 The bus pickup was conveniently located on street 106 in Phnom Penh on the corner with Preah Sisowath Quay (riverside or street 1), but pickup locations are scattered throughout the city no matter where you are staying. The departure time was scheduled for 21:15 and we were on our way within two minutes of the scheduled departure time, a pleasantly punctual beginning. Before setting out on this long journey I was subjected to numerous warnings and recollections from friends and strangers regarding their nightmare experience at the border between Cambodia and Thailand in Poi Pet. The doomsday scenarios that were painted for me – hours upon hours stuck in an endless queue awaiting visa on arrival processing – did not come to fruition in the slightest. The bus was a sleeper style bus with bunk bed style accommodations sleeping two per each mattress. Once underway it was rather easy to catch up on some sleep and get ready for a full days journey, as the combined trip was estimated between 12-13 hours. Once in Poi Pet we were ushered off of the full size bus and given ID badges that helped simplify the change over into a mini-bus for the final leg of the journey to metropolis of Bangkok. I was able to navigate both the departure queue in Cambodia and the arrival queue in Thailand in under thirty minutes combined (including filling out the paperwork and walking across the Friendship Bridge to Thailand’s side of the border), completely invalidating all of the horror stories that I was berated with prior to the trip. The arrival at the border a few minutes prior to 06:30 was the key to a smooth immigration process, and thus I would recommend the overnight bus versus an early morning bus that would arrive late afternoon and possibly subject you to a drawn out immigration experience. A representative from Virak, dressed in a distinct dark green shirt that allowed for easy recognition, rounded us up as we exited the Thai immigration building and escorted us to their office where we exchanged our badges for the next leg of the journey. It was mere minutes before we were ushered onto a mini-bus and whisked away towards Bangkok. There were a couple of stops, one for a bathroom break and one for a quick breakfast, but the trip was a traffic free jaunt across the rural countryside until entering the outskirts of Bangkok. 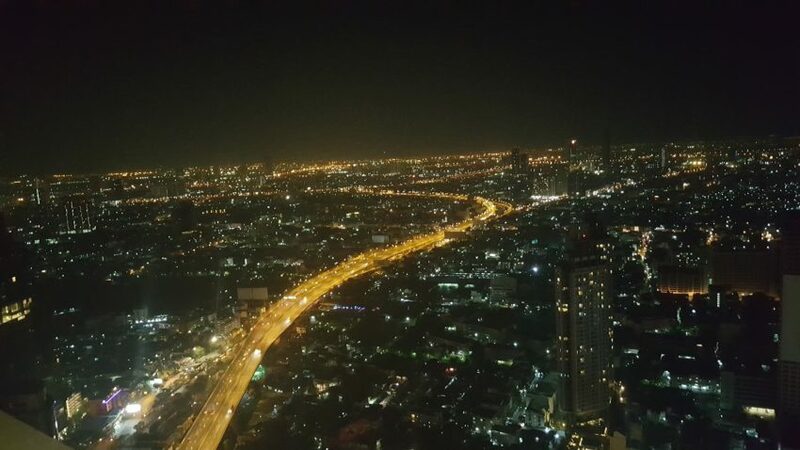 The original estimated time of arrival was 11:00 and the actual arrival was slightly before 12:00 with most of the delays in the last leg of the trip navigating the incessant traffic of Bangkok proper. By the way, both buses were well air-conditioned and comfortable which ensured a pleasant experience from start to finish. Once checked into the hotel and showered I felt rejuvenated unlike when flying, and due to that I would recommend this for budget travelers and those who are looking to casually enjoy their trip versus the stress of navigating airport travel.